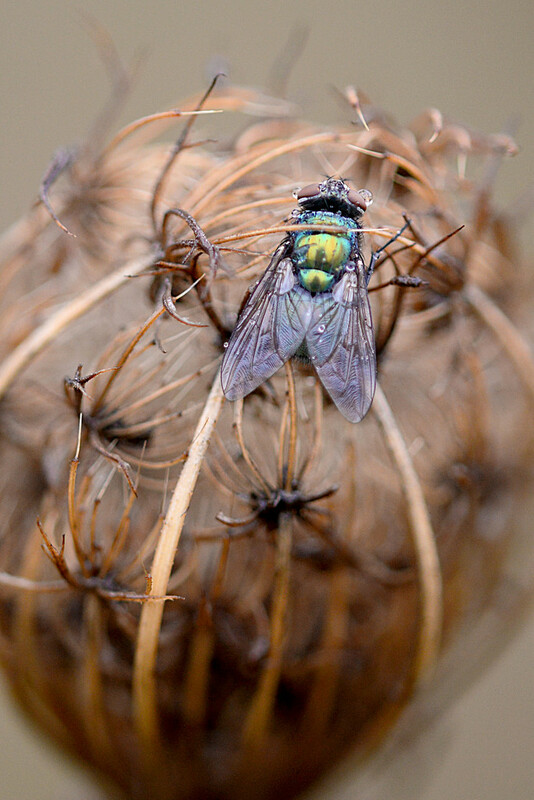 Seeing this fly caught in this Queens Anne's lace plant reminded me of a venus fly trap plant! It was like it was holding onto the fly! It was very very cold and wet today and I'm not sure why is was even still around! I liked the droplets of water that it had on it! Awesome shot of layers and tones, fav! Very sharp fly. And the droplets of water really add to this. Terrific close-up capture. Superb focus. Great details and nicely shot.